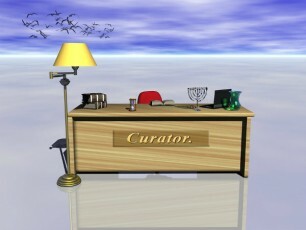 Content curation certainly has its supporters and detractors. Some suggest that it’s no different than aggregation, while advocates contend that it’s another way to share timely information and insights that support a brand and its corporate marketing goals. Content Marketing Institute has covered the topic extensively from a number of angles. The following (curated!) collection is designed to give brands one-stop access to a diverse range of ideas and information to help them manage their content curation efforts. In his recent post, 5 Tips Every Content Curator Needs to Write Better Calls-To-Action, Curata’s Pawan Deshpande cites calls-to-actions (CTAs) as an underrated component of content marketing that can help take your content curation efforts from good to great. Another of Roger’s recommendations for increasing your content curation efficiency is to recycle your recommendations by consolidating them into resource sheets or quarterly “Top 10″ roundups. Quite simply, providing fresh and relevant content in an organized way, improves SEO for the site it lives on — which is likely why 65 percent of respondents… cited boosting SEO as one of their main content curation objectives. As much as the term gets criticized, curation requires patience, resourcefulness and a keen editing eye. It means becoming fluent in one particular dialect of the web, versus trying to speak its entire language. The goal of content curation is not to create new content, but to find the most relevant content pertaining to a specific category and funneling this information to readers in a very targeted way. We hope these recommendations help your business get a handle on the content you assemble through curation. What tools and techniques work best for you? Looking for more insights on content curation and other powerful content marketing tactics? Check out our guide to Building the Perfect Content Marketing Mix: Execution Tactics.